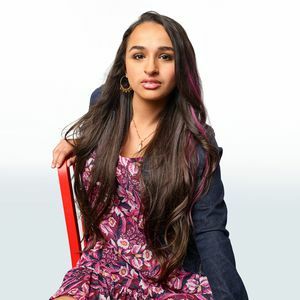 When she’s not filming, Jazz devotes much of her time advocating for LGBTQ rights, sharing her story with people across the country in an effort to educate and inspire others. She has accumulated many prestigious awards and honors throughout her lifetime, including TIME Magazine's Most Influential Teens (2014 and 2015), The Advocate magazine’s “Top Forty Under 40” annual list, OUT Magazine’s Top 100 list, Teen Vogue’s “21 under 21” list, HRC's Upstander Award for 2017 and the 2015 Trevor Youth Courage Award to name a few. Join the conversation on social media by using #IAmJazz, 'Like' the show on Facebook, follow TLC on Instagram & Twitter, and watch full seasons of “I Am Jazz” on TLC GO.